Idyllic might not be a word many afford Venice, given the 20 million-strong rabble of tourists seething up its umpteen stairways and piling into its piazzas every year. The footfall here has become so intrusive that graffiti gruffly demanding "tourists go home" was scrawled across the ancient walls last summer. But just 7km away in the Venetian Lagoon, on little-visited Mazzorbo island, I can't think of a better word than "idyllic" to describe things. I'm standing on the wooden footbridge that connects Mazzorbo to Burano, a larger island known for its rainbow of brightly painted fishermen's houses. A distant shimmer in the heat haze on one side are the domes and palazzos of Venice. On the other, Torcello island's domineering red-brick tower hints that it was once more than a sleepy locale home to nine people. The only noise is that of lagoon water lapping gently, and insect legs rubbing together in the bushes. It's hard to believe this is actually where Venice started – that, 2,000 years ago, Mazzorbo and Torcello pulsed with the life of 15,000 people, while the 118 islands of what would become Venice slumbered with a couple of hundred. Today, those numbers have traded places. But while Torcello and Mazzorbo lie largely forgotten just a half-hour boat ride from the floating city, one family is determined to keep their legacy from disappearing. Matteo Bisol, the impeccably dressed and bronzed heir to the centuries-old Bisol wine business, tells me he and his father are using "the universal language of food to teach about the history of the area." I meet Matteo where this mission all began, at his pretty, neatly plotted micro-vineyard on Mazzorbo. It's here that Matteo and his father have quite literally resurrected a part of the lagoon's past – a grape variety, dorona, thought lost after the devastating 1966 Venice flood, but recently rediscovered and painstakingly reintroduced by the Bisols, bringing back a uniquely Venetian wine beloved of the city's elite of previous millennia. Crowning it Venissa, they produce just 4,000 bottles a year here, at the world's only commercial vineyard growing dorona. Now, the Bisols are busy cultivating their own mini gastronomic utopia on Mazzorbo – via a Michelin-starred restaurant with rooms and more casual osteria, both set in the vineyard – using ingredients endemic to the lagoon's unique micro-environment. The idea is to give visitors reason to come to the islands, so the young residents here – prone to leaving for the cities to make money – might have reason to stay. 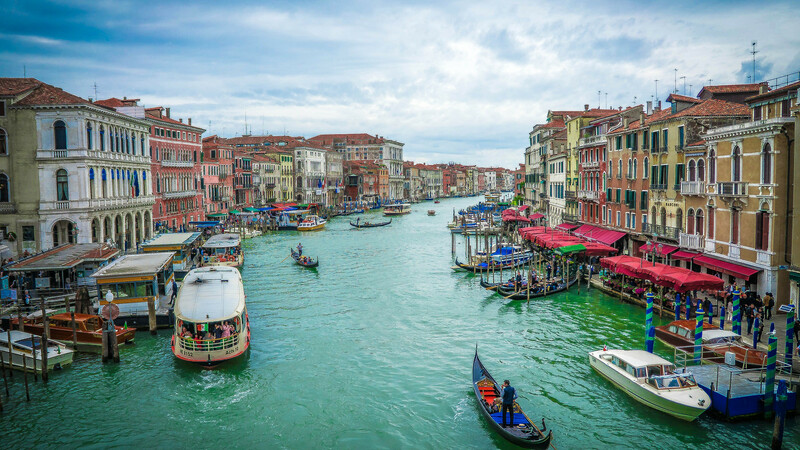 It's also perhaps the antithesis of modern Venice's overwhelmingly touristed thoroughfares, renowned for peddling lacklustre, overpriced pizza and pasta. It's over dinner at the Michelin-starred Venissa Ristorante that I begin to understand the project, though belonging to the Bisols, is Matteo's baby. Instructed in the family business from the age of ten, the young Bisol now cuts a dashing figure at 28 (I could easily picture him razzing around the Venice canals in a speedboat alongside a gaggle of glamorous pals, if not Clooney himself). Last year, he introduced the restaurant's new, more ambitious formula, where a kitchen team of four up-and-coming chefs – each assigned their own course, to be made with lagoon-specific ingredients – is refreshed every year. Having retained its Michelin star for the fourth year running in 2016, Venissa is rare for achieving this with a concept rather than a specific chef. "Everything that grows in Venice has a unique taste," Matteo tells me, as I hoover up a fantastical plate of musky, sweet lagoon shrimp, paired with the marine-funk of cuttlefish ink foam and a cloud of powdered beetroot. "It all has this mineral, bittersweet taste – even the salad." He points to local herb salicornia, a salty grass. The same is true of that fabled Venetian wine. In the glass, Venissa looks like liquid gold: a result of leaving the grape skins in during maceration. Honestly, it glows. The flavour is also unlike anything I've encountered before; intensely mineral, almost salty, slightly sour. Its very difference is addictive. But perhaps most impressive is how everything about the place is connected to the local area. Glasses at the table are hand-blown on another lagoon island, Murano; the distinctive gold-leaf labels on Venissa bottles are hand-beaten by the Famiglia Berta Battiloro, peddling this skill since 1926, in Venice. Matteo also employs local islanders to tend the restaurant's herb and vegetable garden, wisely believing their site-specific knowledge passed down through generations to be best. Around 2,500 people live in Burano, but out of these Matteo estimates about 100 fishermen remain. He hopes the new venture will see visitors appreciate local life here, rather than just snap their picture and go. And, from the point of view of a visitor, I can confirm Burano's narrow canals, plentiful spritz opportunities and bright houses are very much best enjoyed in peace. 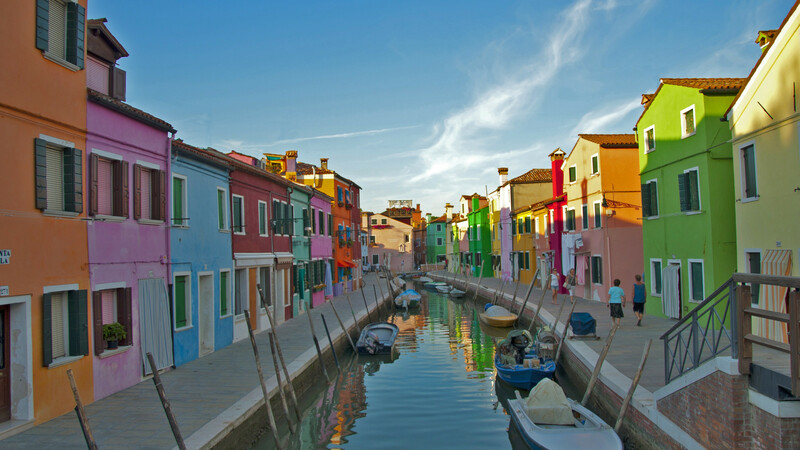 Rooms at the Venissa wine resort on Burano cost €150-300 per night. A five-course tasting menu at Venissa Ristorante costs €130 per person. Return flights to Venice cost from £50 with Ryanair. Back to dinner at Venissa. "We hope our projects will bring social results to this area by keeping the islands' traditions alive," Matteo says, but adds the lagoon can do as much for the visitor as the visitor can do for the lagoon. "Venice is about palaces and churches, but the lagoon is about nature," he ruminates. "In this place, time has stopped; you just really enjoy the present." And as I sit in the dimming evening light, green vines all around me, sipping the golden wine and watching a full, orange moon appear in the very clearest of dark blue skies, I have to hand it to him. 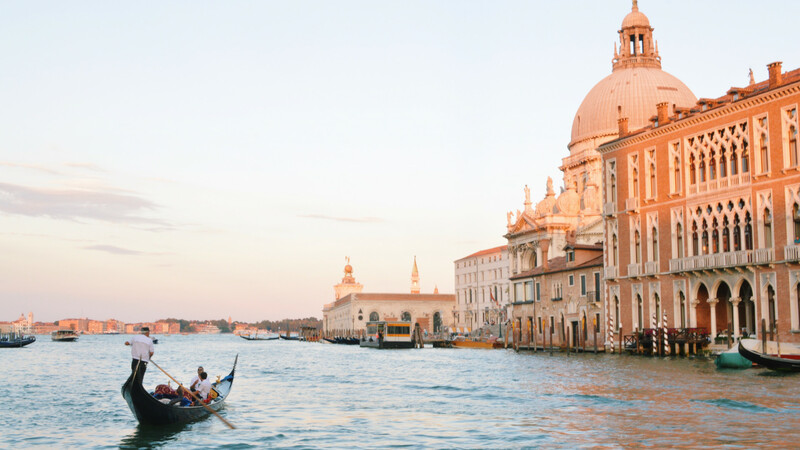 While Venice is celebrated for its history, and faces struggles in its modern incarnation, here in the lagoon, the present is as glorious as its past and – with any luck – its future.